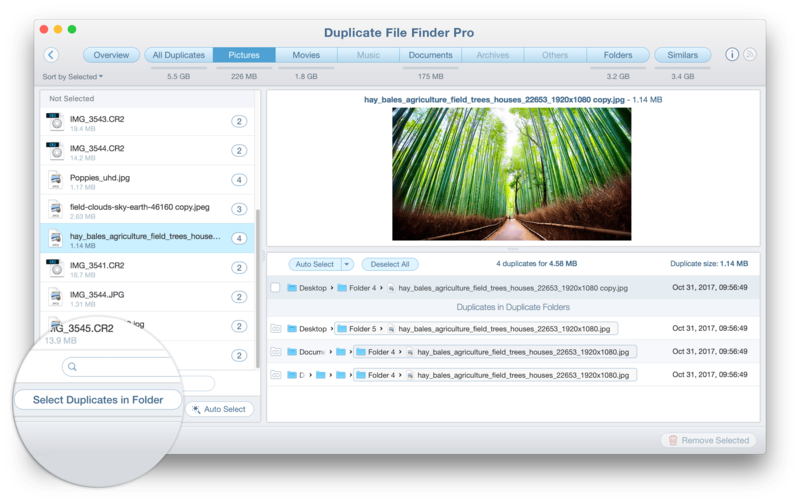 Duplicate File Finder allows you to easily get rid of all useless twin files on your Mac. You can scan any folder or drive and remove duplicates from there. The application provides an impressive set of useful features, such as finding Similar Folders, serving Cleanup Hints and the Autoselect option for quick duplicate selection. 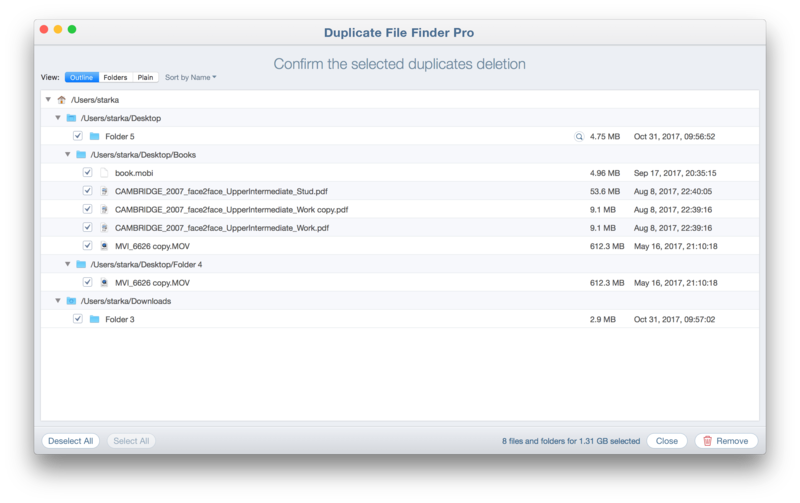 Recently this app introduced the long-awaited “Select Duplicates in Folder” feature. 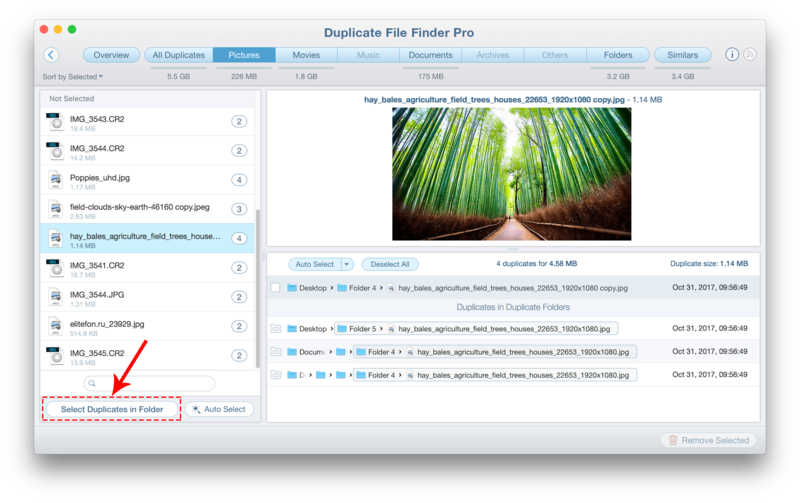 This is an option that allows you to quickly select the folders from which you want to remove duplicate files. 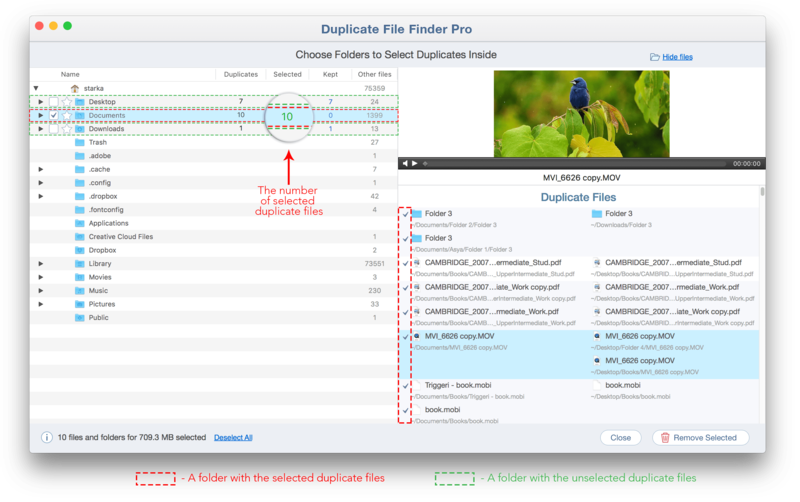 You would no longer need to review each duplicate file separately; instead, you can specify a folder not to delete duplicates from. In this article, we will review this advantageous specialty in detail. But first, let’s take a look at a short presentation guide on how to compare two folders and remove duplicates from one of them. 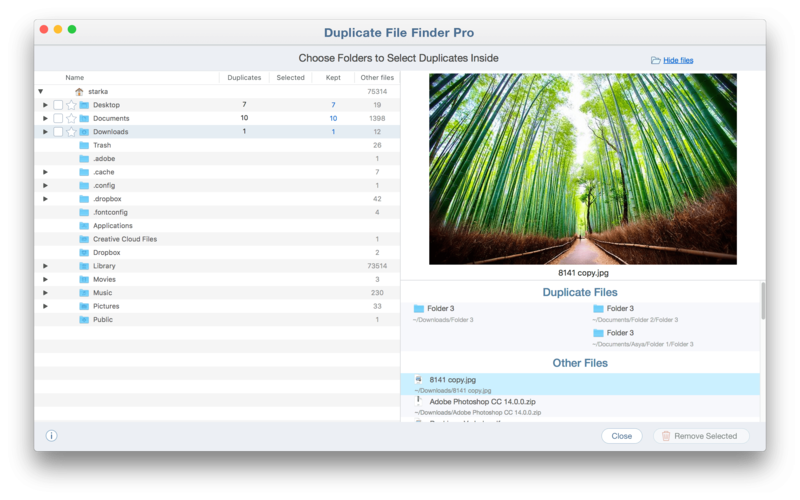 Launch Duplicate File Finder and scan your folders for identical files. Go to the All Files tab to preview duplicates. Below the list of found files, you will see a button Select Duplicates in Folder. Click the button to preview duplicates by folders. You will see a new window with the tree of all scanned folders with their contents. Review them and tick the checkbox near the folder from which you want to delete the duplicate files. After you click the Remove button, the duplicate files in these folders will be deleted but the folder with the unique files will remain. If you want to preview the duplicates in these folders, click the Show Files button in the top-right corner. To select the duplicates in one of the folders, just tick the checkbox near the folder’s name. The application makes it impossible to select all folders with duplicates so that you can be sure that at least one folder with the duplicates remains. 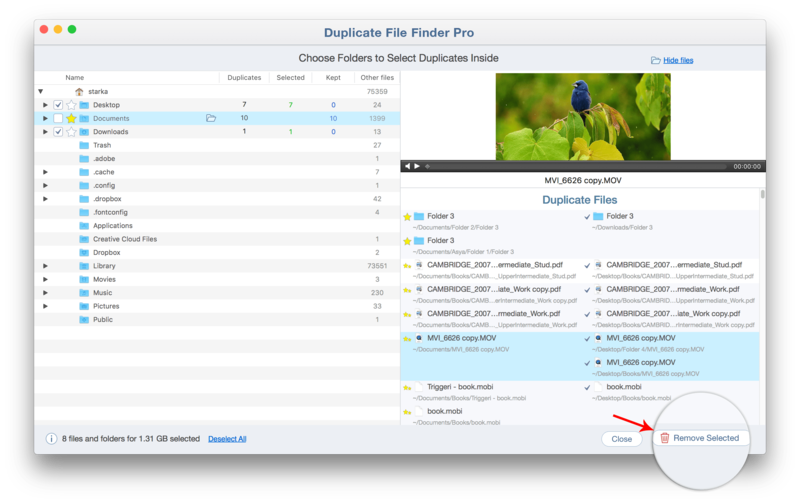 It may happen that you have many duplicates scattered in different folders and you would like to leave the original files in one folder while deleting all copies from the other folders. The application allows you to do this task. How to specify a folder not to delete duplicates from? You might have noticed a star icon next to the checkbox. This is a “Keep Original” button which allows you to specify a priority folder and protect files in it from being selected and removed accidentally. Click the star icon to save the duplicates in this folder and delete duplicate copies in the other folders. 4. After you have selected the unneeded copies of files in a specific folder, click the Remove Selected button in the bottom-right corner. 5. Review the selected duplicates once again and confirm their removal by clicking the Remove button. As you can see, with the “Select Duplicates in Folder” option you can easily compare several folders and quickly select duplicates only in particular ones. Moreover, the application allows you to protect duplicates from being removed so that you don’t need to worry about inaccurate selection and deletion of your important files. Even if you removed some files by mistake, you can recover them using the Removal History option.